How much is Judge Joe Brown Worth? Judge Joe Brown net worth and salary: Judge Joe Brown is an American lawyer, judge and television personality who has a net worth of $10 million. 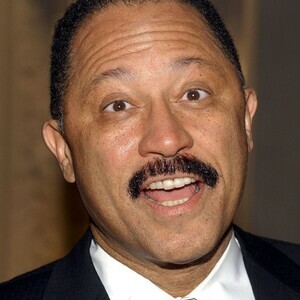 Judge Joe Brown was born in Washington, D.C. on July 5, 1947. He graduated from Dorsey High School where he was valedictorian. He earned his B.A. in Political Science and earned his J.D. from UCLA in 1973. He subsequently became the first African-American prosecutor in Tennessee history, and then became a judge in the State Criminal Court, which is located in Shelby County, Tennessee. He came to national attention when he served as the judge presiding over the appeal of the man accused of murdering Martin Luther King, Jr., but was ultimately replaced by another judge. The producers of the show "Judge Judy" approached him in 1998, and the show "Judge Joe Brown" was launched. He has had a number of celebrities appear on his show including Coolio and Rick James. The Judge Joe Brown Show ran for 13 seasons but was cancelled in 2013. In the show's final seasons, Joe was making $20 million per year. Divorce and Financial Issues: In March 2014, Brown was arrested and sentenced to five days in jail during an outburst in a child support hearing before the Juvenile Court Magistrate, Judge Harold "Hal" Horne. He was later released from jail by a Circuit Court judge. During this time, Brown was running in the Democratic Primary for district attorney general in Shelby County, Tennessee. Some have described Brown's outburst as a way to gain publicity for his campaign, while other say the magistrate was harsh for locking Brown up, and it should have never escalated to that level. Brown says he does not regret his actions, and would do the same thing again given the circumstances. Joe also experienced an extended and contentious divorce battle with an ex-wife. The divorce was settled in 2017 after Joe agreed to pay his ex $2200 per month in support. Joe was allowed to keep his Tennessee home, a Porsche 911, a Range Rover, a Land Rover and a Jeep. At one point in 2013, Joe claimed he only had $163,000 cash to his name. That amount did not account for other non-liquid assets. 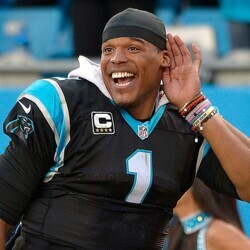 Cam Newton Vs. Peyton Manning: Who's Making The Bigger Bucks?